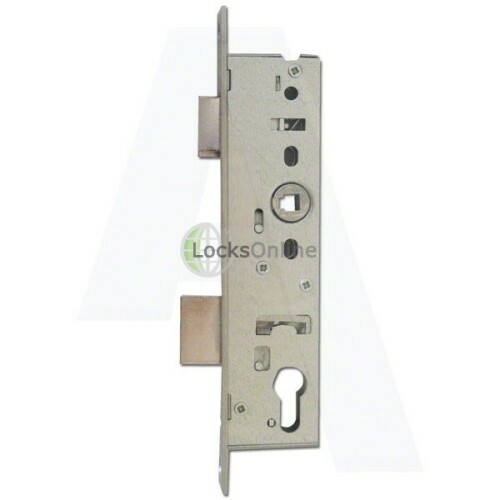 These euro-profile sash lock cases are ideal for wooden and aluminium doors where a 92PZ similar to that of uPVC doors is required, but multipoint locking is not possible and/or not required. They have the advantage of being very narrow, so giving a great solution to narrow-stile applications. 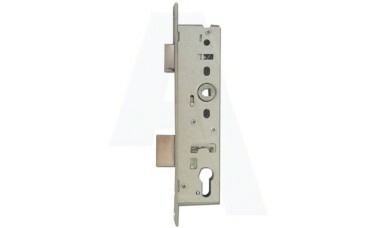 The NEMEF locks are available in backsets ranging from 25mm to 45mm and come at a very attractive price tag! Do you need a cylinder? > Check out these very popular handles to suit the NEMEF 92pz lock. Hi guys, my name is Darrel, and I'm head of the tech team here at LocksOnline. Thanks for taking some time to tune in and have a quick look at one of our product review videos. We're putting these short little videos together to be able to give you, our customers the opportunity to see the product we have to offer, perhaps in a little more detail than you may get from an image or a bit of descriptive text. So to speak, you can see the product in the flesh to help you make a more informed decision. 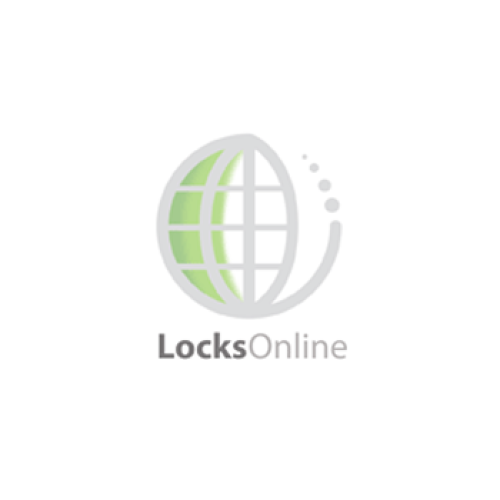 Today I'm going to talk to you about a range of NEMEF locks we have, euro profile lock cases that we have on our website. They are absolutely ideal that if your locking style on your door is quite narrow, perhaps this is the lock that you will be looking for. There's a range of these NEMEF locks. They start from about 25 millimetres back set all the way to 45 millimetres back set. This is the actual lock case as you can see there. Some of the distinct advantages as I've mentioned before is that the back set is measured from a leading edge here to whatever the centre of the cylinder is or whatever the centre of the follower there. On this particular version here, this is the 45 millimetre version, but you can have different back sets as narrow as 25 millimetres, which makes absolutely brilliant advice and so forth if you've got a narrow locking style on your door. It was obviously designed for a wooden application but can be used on an aluminium application or any other type of application that you think you might want to use it for. One other distinct advantages as well is that the centre, in other words the PZ end centre of there of the follower to the centre of the cylinder is standard 92 millimetres, which means that a massive range of UPVC door furniture can actually fit on this particular handle as well. I think there's a link on our page that will take you to a range of handles that would be suitable for this lock. Also, you'll notice as well that there's some fixing centres there under, above and below the follower there, designed for certain types of fixing handles. Of course, there's also one at the top here as well. Another distinct advantage with this is it has the ability to be handed. Therefore, this latch could be either in that position or you can turn it around. I've made quite a nice way of being able to achieve that and the idea is that, I don't know if you can zoom in close enough here. If I was to lift that up with my nail, that will then pull that latch out. I simply turn this around like that, push it back into location, and kick back in, that spring drops back down. I've now changed the handing of this particular latch. That's absolutely fantastic. It's a beautiful design and bit of engineering there. The actual width of this face plate here is 25 mil, industry standard. Here's the hole here that will accept the cylinder. Obviously it doesn't come with a cylinder. You need to supply a cylinder. This is just the lock case on its own. I'll get some of the measurements for you as well while we're here. The overall fore end length is 245 millimetres and the case height as well is about 197 millimetres. Now the case depth as well as the back set depth would be indicative to whatever size back set you have but as this is the 45 millimetres back set, the overall case size is 60 millimetres as you can see there. As I've mentioned as well, the PZ end there is 92 millimetres. 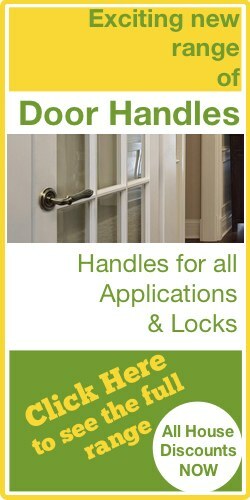 An absolutely brilliant lock designed for loads and loads of types of applications. We're starting to see this particular type coming in to the UK now from Europe quite a lot. A lot of European imported locking solutions etc. so this is starting to become quite a stay in front especially for the likes of these nice little summer houses that you can have in your gardens and similar that may start to be looking at this particular type of locking solution. Listen, f you need a bit more information on this or any of the products that we have to offer, pop us over an email, use the live chat that we have or simply do it the old-fashioned way and pick up the phone and give us a call. Either way, we'd love to hear from you and more importantly, we'd love to see you as one of our customers. From me, Darrel, and all of us at the team, thanks for taking the time to tune in. Catch up with you real soon, bye-bye.